* Our private Pilates group mat classes or floor classes are strictly limited in size to ensure a high level of supervision. We offer this at your home or private studio. Please note that the matwork sessions are suitable for healthy clients with no existing injuries or conditions. If you have any injuries or conditions, personalized one on one instruction will be more appropriate. 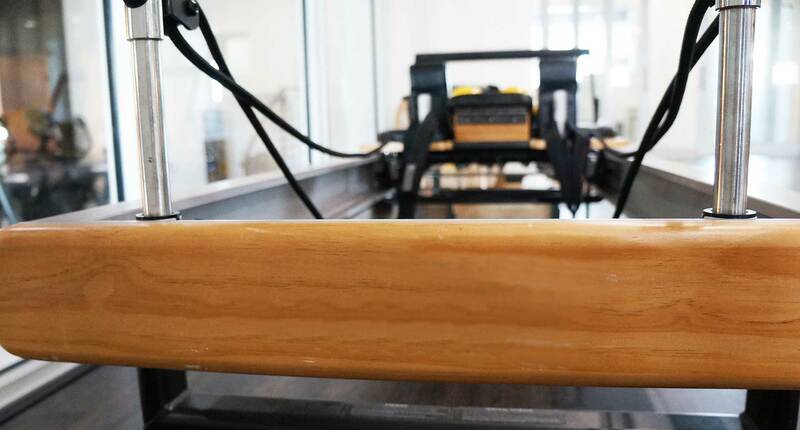 *This private or duet group class using the Pilates Reformer or other Pilates apparatus is an ideal way to get a full body conditioning workout. Using spring resistance and moving your body in ways that are unique to these Pilates specialized apparatus, our private Pilates sessions are guaranteed to get you in shape safely and effectively. *Lagree Fitness™ is one of most innovative and aggressive approach to full body conditioning. Moving effectively out of the borders of conditioned stimulus, this workout integrates the key elements of resistance and counter-resistance in a sequence that allows for periods of zero gravity at peak muscle contraction. By incorporating the Lagree Fitness Method with the Pilates Reformer workout, our experts are able to sculpt your body precisely.